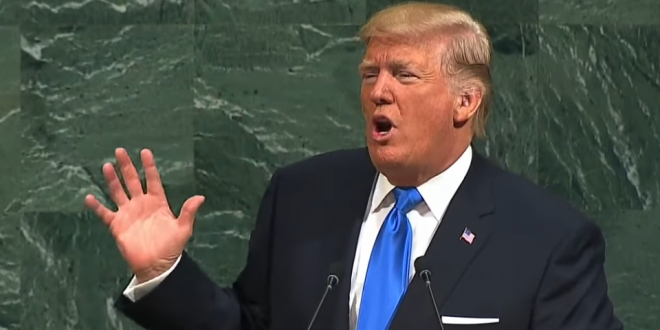 LIVE VIDEO: Trump Addresses UN General Assembly - Joe.My.God. President Donald Trump’s national security adviser John Bolton brought a prop to the UN General Assembly to underscore the Trump administration’s primary theme: the US stands on its own. Bolton and other officials were previewing a theme that Trump will strike Tuesday, when he is expected to use his second UN address to emphasize his administration’s intent to distance itself from international groups and pacts the US has previously embraced. The speech is scheduled for 10AM.